LANDOVER, Md. 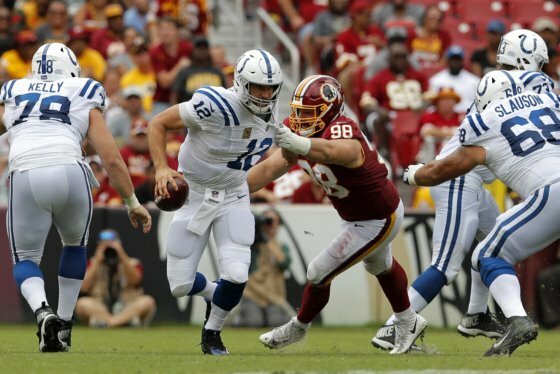 — The Redskins had a chance on Sunday to keep up the momentum they gained last week and start the season 2-0 for the first time since 2011. Instead, they looked nothing like the team we saw last week. They came out flat, out-of-sync and were completely outplayed in all facets of the game. Andrew Luck took the Colts down the field on their first drive, going 75 yards in 11 plays and made it look easy. They converted on all three third downs on the opening drive as well. 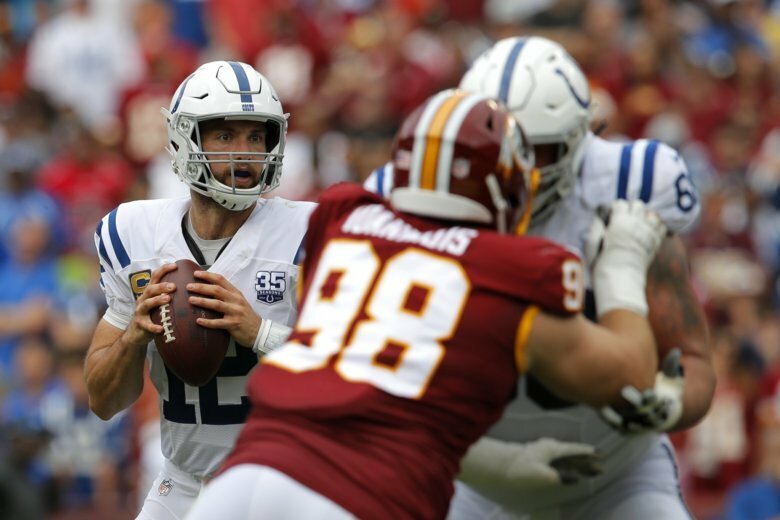 The Colts beat the Washington Redskins 21-9. Head coach Jay Gruden said after the game that there was no chemistry on offense and that he had a hard time getting into any sort of rhythm as a play caller. A week ago Adrian Peterson carried the ball 26 times for 96 yards. On Sunday, he had 20 yards on 11 carries. The Redskins gained just 65 yards as a team on the ground. Jamison Crowder was the leading rusher. Crowder is a receiver. He had two carries, both sweep plays, for 29 yards. Chris Thompson was the leading receiver. Thompson is a running back. He had 13 receptions for 92 yards. Alex Smith didn’t get into any sort of rhythm either. He finished 33-46 for 292 yards with a number of them coming late when the Redskins trailed by 12. Josh Doctson and Paul Richardson both dropped passes that would have resulted in big gains. The defense gave up three 75-yard touchdown drives on the day. The front four was unable to make Andrew Luck uncomfortable. That was something they had to do, seeing as Luck was playing in only his second game in over a year. One of the lone bright spots was D.J. Swearinger, who had two interceptions on the day. Linebacker Mason Foster was the other bright spot with eight tackles. To make matters worse, the announced attendance was 57,013 ending the teams 50-year sellout streak dating back to the days at RFK Stadium. To compare, last year’s season opener drew over 78,000. If they continue to put out efforts like they did on Sunday, then a new sellout streak may not start for a long time.